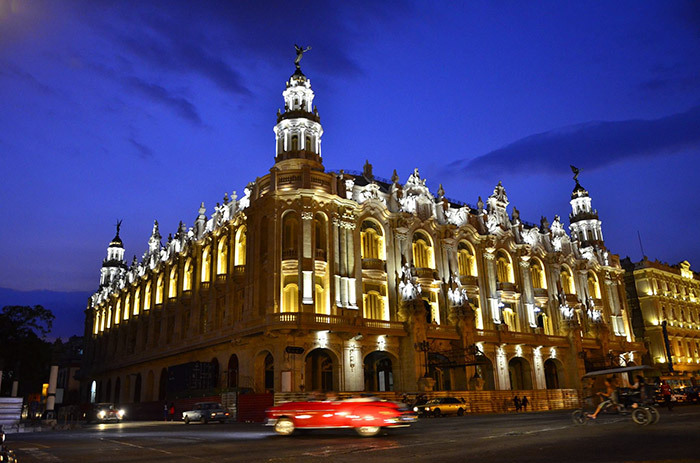 The following article will help you find your way around Cuba depending on the month. Travelling to Cuba in August and doing so in January are completely different experiences, as you will see below. I’ll be as detailed as possible for you to avoid any confusion. It is important to know that night falls around 7 PM, that it is a month when temperatures can occasionally be low, and above all, that it is a month when tobacco is harvested, which makes travelling to Viñales around this time of year highly recommended, even though the ideal time to see tobacco in all of its glory is February or March. New Year’s and Three King’s Celebrations: contrary to what happens in other countries, there is no great Christmas tradition in Cuba, so you won’t see anything out of the ordinary, though you can see some Christmas lights, and as years go by, the Christmas spirit seems to be growing stronger. In the fields, a figure is usually burned the last night of the year, and grilled pork is had for dinner. National Festival of Chamber Music: it usually takes place on the last week of January in Havana; it is a great event for everyone travelling to Cuba in January who likes classical music. Saint Lazarus Pilgrimage: On January 15th, 16th, and especially the 17th, the pilgrimage to honour Saint Lazarus (Babalú-Ayé) is celebrated at the town of Rincón, located 20 Km from Havana. Festival del Habano: which takes place in Havana during the last week of February – visit www.habanos.com for more information. International book fair: during the first half of February in Havana, in many corners of the city. 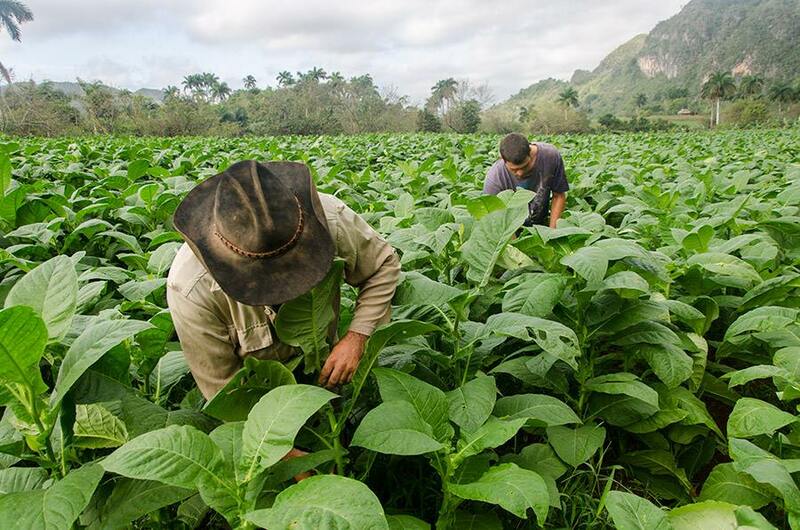 Last month to enjoy the green tobacco fields of Cuba. The temperature starts getting warm and the Caribbean heat starts to set in. Fiesta del Tambor y la percusión (Drum and percussion party): during the first week of March in Havana. Bienal de danza del Caribe (Caribbean dancing Biennial): every two years in the city of Havana. During April we can enjoy a multi-coloured Havana, since the “Old Havana – City in motion” event takes place. You will be able to enjoy street performances, dancing, theatre and painting all along the streets with the charm of Old Havana. Rains arrive by the end of April, and are usually stronger during May. Holy Week in Cuba: depending on the dates in which the Holy Week takes place, you’ll be able to enjoy the Good Friday parades in Trinidad. Viñales Carnival: dates are not fixed, and in 2013 they were delayed due to Hugo Chavez’s death, so it is better to inquire once you arrive there. Dates may change, but the joy and great atmosphere is something that remains the same year after year. At Gibara you can enjoy the Cine Pobre (Poor Film) festival. This small town near Holguín gets crowded with artists, directors, actors and movie fans; a true spectacle. You cannot miss the May 1st parades. I advise you to wake up at 5 in the morning to get there in time. By 9 or 10 it will all be over, and you can take a cocotaxi from the Revolution Square to your house or hotel to rest… Don’t miss it, and don’t forget your camera – it’s a true experience. In Cuba people say this is the rainy month, so be prepared with a plan B. It is also the off-peak travel season, so you’ll be surrounded by less tourists. The month of May stands out due to May’s Romerías (religious pilgrimages) which take place in Holguín during the first week of this month. There are no more doubts on this month – heat is guaranteed. Showers tend to be copious, especially in the Viñales region. Camagüey and its theatre in May: if you were to label a place in Cuba as a cultural city, after Havana, Camagüey would be that place. Theatre, movies, poetry, painting, a real show that takes place every two years during the first week of June. Since about 2012, Cubans have increasingly started to stay at hotels, so you may find Hotels in Veladero to be half full, but most customers will be Cuban, a clear symbol of the new Cuban era. You should know that in August they will be filled with Cubans. In July, not only summer is in the air, but so are vacations. Days tend to be hot, which leads to there being storms during the afternoon due to the morning heat. But no matter the weather, July is the month of July 26th, when the attack on the Moncada Barracks of Santiago de Cuba is commemorated, as well as the more popular carnivals of the entire island, which take place during that week, from July 21st to 27th. It is highly recommended to reserve enough time in advance, because finding accommodations becomes quite difficult during those dates. Art Fair at la Rampa: la rampa is the last stretch of 23rd street in Havana, and is where during all of June there is a crafts, book, music and clothing fair, and especially concerts and poetry. It is open every day, and its popularity sees it crowded with Cubans all day long. August is the vacation month in Cuba. All of the Cuban people are on the streets, the beach, restaurants – it is when one can feel people are in the best of moods and willing to have fun during their vacation month. Hotels in Cuba are filled with Cubans, lines for the buffet are long, etc., so if you want to mingle with the Cuban people, you will also be able to do so in hotels. In 2015 already, approximately 80% of hotel guests in Varadero were Cuban. 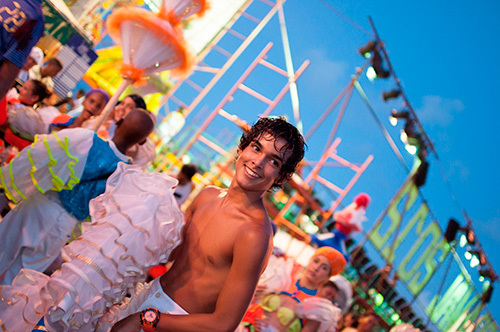 Carnivals in Havana: they are not as spectacular as Santiago de Cuba’s carnivals, but they have their charm. They commonly take place between August 8th and 12th, but dates vary every year, and it’s impossible to find out over the Internet (at least I never can). On this video you will see the last few rehearsals before starting the carnival in Havana. You may find rehearsals on the streets, which you can enjoy and photograph. Carnivals go past the Malecón from Hotel Nacional all the way to 19th street approximately. My advice is that you stay by the starting point next to Hotel Nacional; things are quieter and you’ll get to see the preparations. Beaches, beaches and more beaches: wherever you are, if you like partying and beaches, it is the right month. Everyone who has the chance goes to the closest or preferred beach. 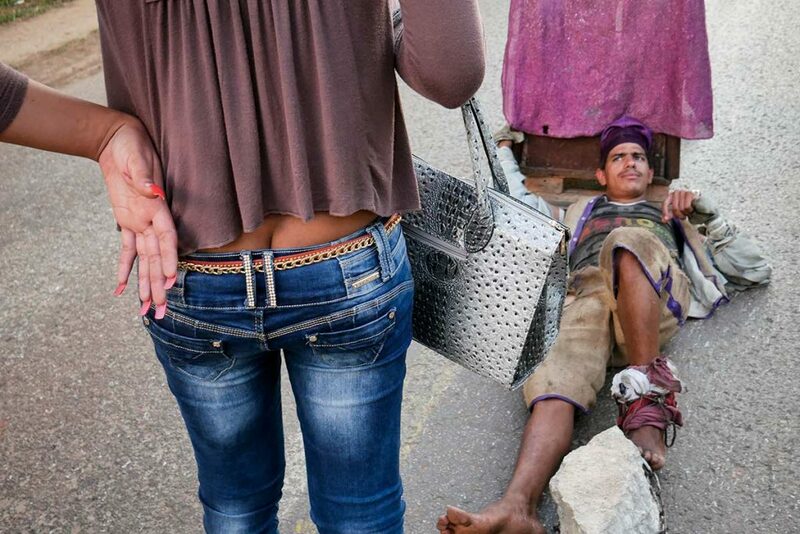 In Havana, those would be Playas del Este some 15 kilometres away. Vacations are over. On September 1st you will see all children attending school wearing their uniforms. Everything goes back to normal; the heat remains, but the time of year when there could be a major storm begins. This is the month with the highest risk of cyclones and storms. It is nothing to worry about, but it is definitely not like August. You can check with the Cuban meteorology centre before travelling or once you are there. Festival Internacional del Son: On the third week of October you’ll be able to enjoy this festival at Cuba’s second capital, Santiago. On this month you have the opportunity to enjoy many theatre plays at various theatres in Havana. This will all take place during the first week of November, as will the International Ballet Festival; except in this case it is biennial. So I wish you the best of luck, and hope you get there to enjoy one of the cultural icons of the Cuban people – ballet. 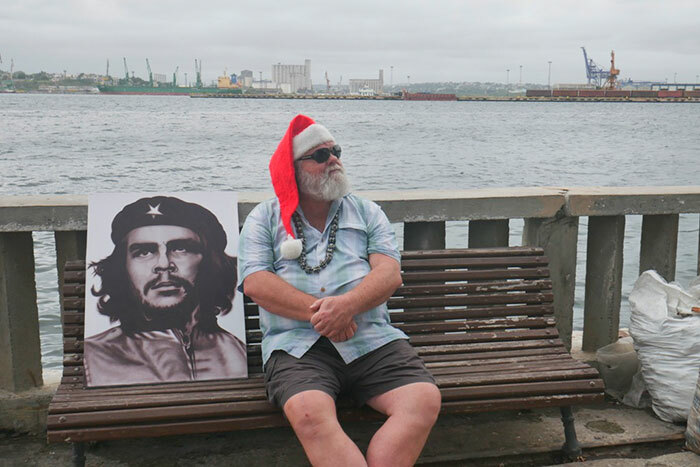 Cinema takes over the streets of Havana during the second week of December. The entire Cuban people make long lines to watch premiere after premiere at the movie theatres in the capital city. Watching a movie in Cuba is a true spectacle, since people make comments out loud, and the silence that prevails in other countries does not exist. I personally believe that at Cuban cinemas you “live the movies”; people get angry at the bad guy and cheer the good guy; quite an experience that you cannot miss. International Jazz Festival: The “Jazzplaza” Jazz festival takes place during the third week of December. 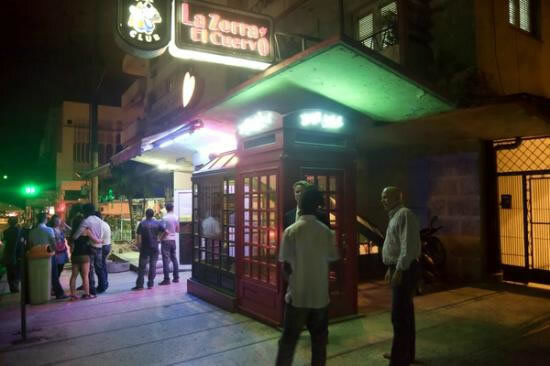 Additionally, at La Zorra y el Cuervo you can enjoy jazz music every night of the year. I hope you found this article to be helpful and that you have a good trip to Cuba. This entry was posted in Tourism in Cuba and tagged april, August, best month to travel to cuba, cuban suggestions, December, February, festivals of music, handcraft in cuba, havana best month, how to travel to cuba, January, July, june, march, may, November, october, september, special trips to cuba, tobacco in cuba, travels to cuba, when to travel to cuba month per month, when travel to havana. Bookmark the permalink.